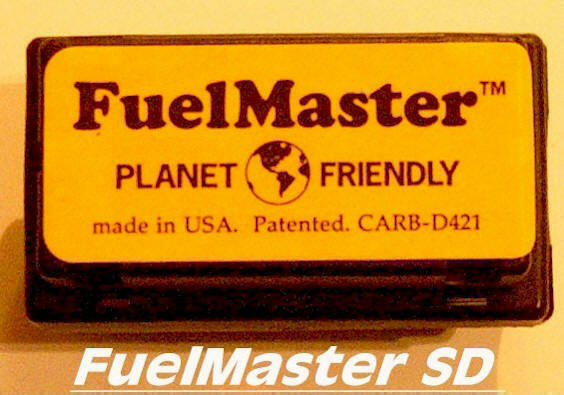 FuelMaster SD: Our First FuelMaster Base Model. Use On 4cylinder or like Vehicles, Older V6 Carbureted Engines, Home Heating, or any size Motorcycle Engines to gain performance enhancements. Our original unit is a simple patented design that performs on many engine configurations. The SD has achieved the California CARB rating for installation on vehicles in the State of California. As a regulatory agency, CARB is responsible for enforcing the most stringent emissions standards in the country (specifically Executive Order # D-421). FuelMaster XL: Our 2nd model that we designed for higher output engines after years of selling 100,000's of our FuelMaster SD. 4.) The installation of the SD or XL FuelMaster is very easy. Simply surround the FuelMaster on to the fuel line, close to the engine fuel injector rail or carburetor, and secure it in place (at both ends) using the cable ties provided. Note: Results obtained from FuelMaster May vary. Independent, U.S. EPA Accepted Lab tests for FuelMaster show an average of 11.6% better highway fuel economy. 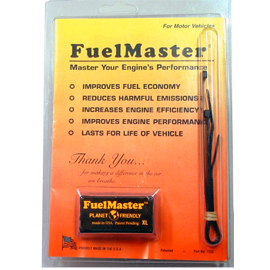 FuelMaster owners have reported and average savings of 8% - 18%. 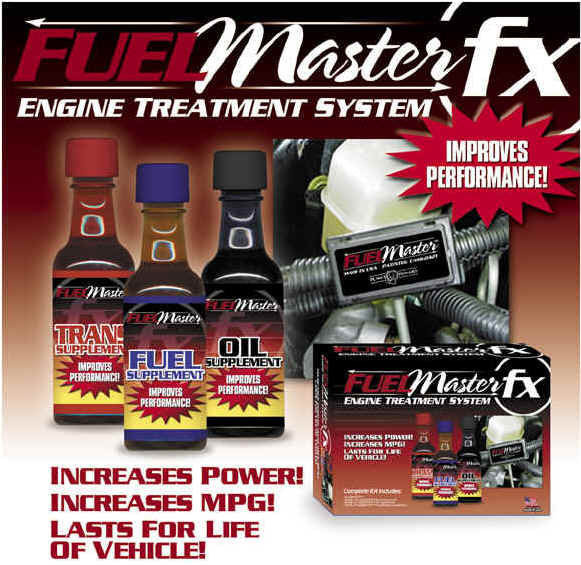 The environment is something we all want to take care of so isn't it nice to know you can do your part by lowering your vehicles emission pollution and save money at the same time using FuelMaster products?? One Or More Of These Benefits May Occur With Installation.